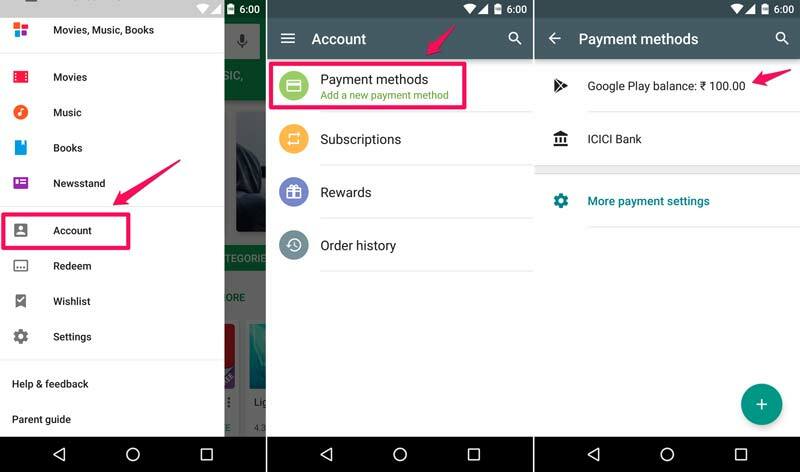 On 5th May 2016, Google had rolled out Play Store carrier billing in collaboration with Idea Cellular. 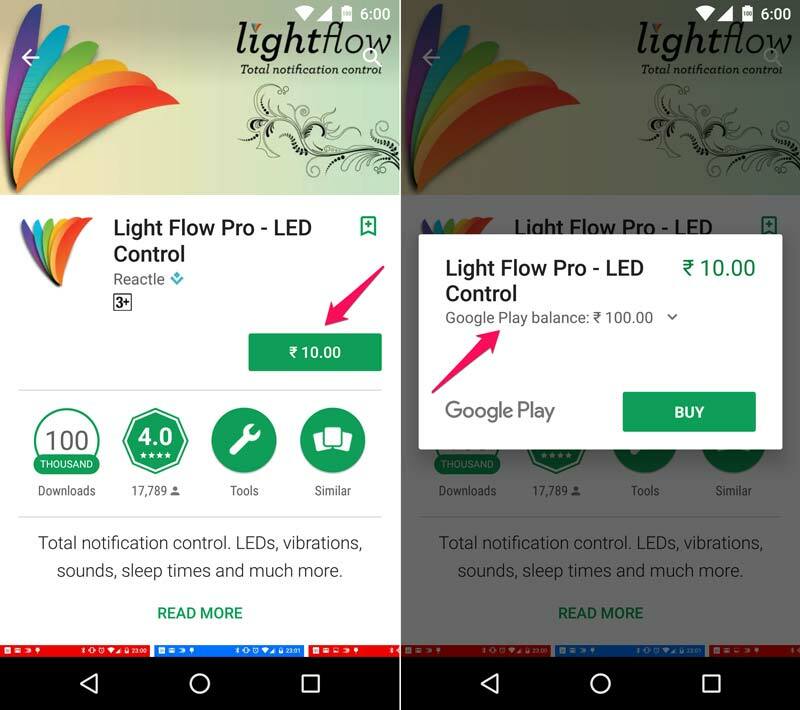 So it became very easy for Idea subscribers to buy the content from Google Play Store. Now PayTm has made this buying process much easier for everyone. 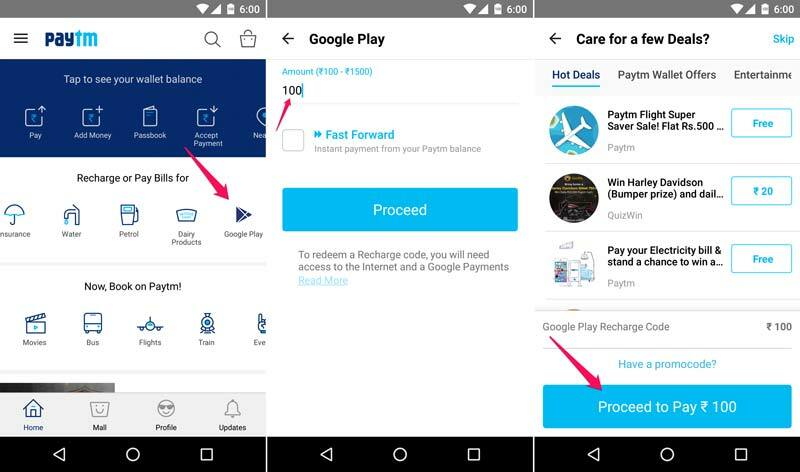 You can easily recharge your Google Play Store account using Paytm. 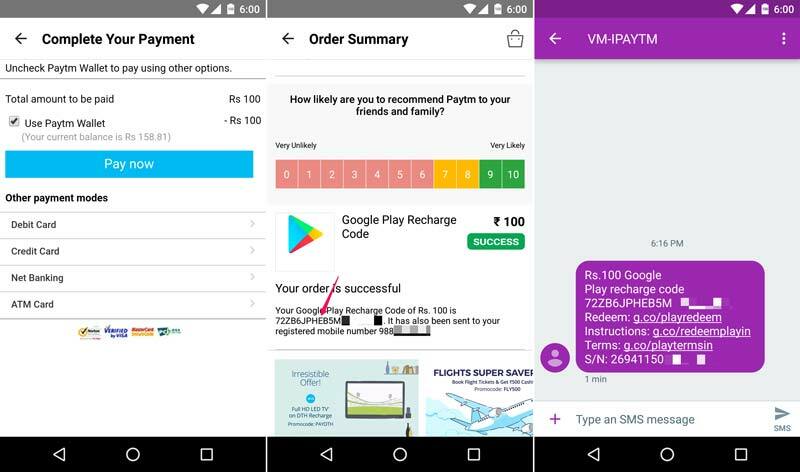 Note: Paytm do not transfer the money directly to your Play Store account, instead it will generate a coupon code. You need to enter this code in your Play Store account. Transferred amount will be in the form of Gift Cards (Google Play Balance for Gift Cards). Enter the Amount. Make a note that the minimum recharge limit is ₹100 and the maximum limit is ₹1,500. Paste the 20 Digit code and tap on the Redeem button. Confirm your account or enter billing address if needed. How to buy the apps from Google Play? Make sure Google Play Balance is selected as the payment method and tap on the buy button. Download begins instantly and you will get the confirmation email from the Google along with the Invoice. No fees or expiration dates apply for Gift cards. Refunded amount will be credited back to your Gift card balance. This gift balance is not eligible to purchase certain subscriptions. The Gift Card is not redeemable for cash and also cannot be transferred. The Git card purchased from Paytm is valid only in India. Check out more details here. Read all the Google Play Store terms and conditions here. 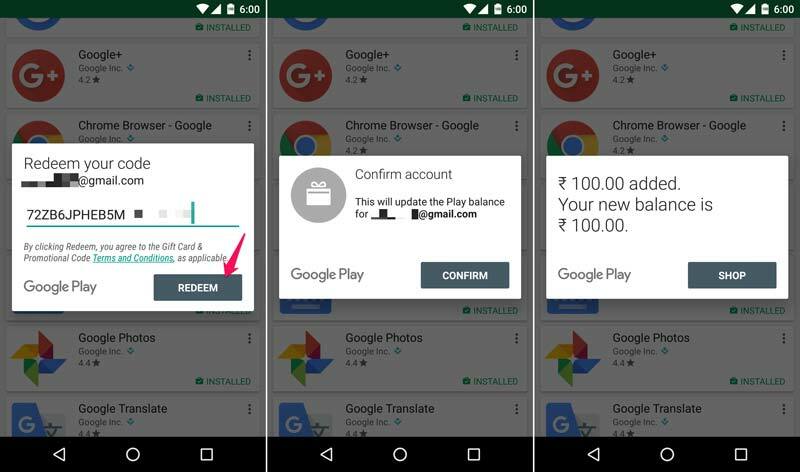 Google Play Direct Carrier Billing is also available for Airtel and Vodafone subscribers. Check out here for more details on Direct Carrier Billing and how to use it. Do let us know in the comments if you need any help.